...I am also aware that due to the opposing proposals there has been a lot of publicity and strong views expressed about the relative benefits of each proposal. Now that we know the outcome, I wish to assure you that all leaders in the education field locally will be working together focussing on making the new arrangements work well for yours and future generations of children. This looks like an attempt to draw a line under the situation and move forward the fat lady having sung. I don't expect it will be as easy as that on the ground and I would like to suggest that whilst moving forward constructively parents and others need to keep an eye on a few things. Despite the joy of the Ixworth "parent group" who have chosen throughout their campaign for a free school to operate behind a closed Facebook group the Ixworth Free School is no victory for parent power. I wrote previously about the governance structure of the Seckford Foundation Free Schools Trust who will run the school. 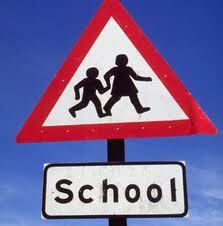 (a) The school is governed by the free school trust board that runs all three schools. The local so-called "governing body" is just a Committee of the Trust Board who can delegate (and then withdraw) powers as it wishes. Consequently the schools Head defers to the Trust Principal and the schools Chair of Governors to the Trust Board. (b) All of the money to run Ixworth Free School goes to the trust centrally. It is they (and not any local Head and Governing Body) that have control of the money. If I were a parent I would be keeping a close eye on anything that looked like Seckford using money it gets for Ixworth to prop up the weaker two schools in the chain. The school at Ixworth is almost certainly going to have many more pupils than the other two. This might be hard to spot as the Trust operates quite a few functions across all of its schools. Parents should remember at the end of the day it was the power of politicians and not any parent campaign that led to the decision at Ixworth. The other thing to watch is the Seckford Foundation itself. Still in complete denial that the launch of their first two schools were anything but a success the victory at Ixworth is likely to embolden the Foundation that a year ago was behaving like a wounded animal lashing out at anyone who criticised them. Looking forward, the Trust intends to build on the successful opening of our Free Schools and fully expects that it will work with other like-minded, local communities in Suffolk looking to open, reopen, develop or improve their local schools. This could either be as further Free Schools or as academies and could be at the primary or secondary educational levels. If you feel that the Trust could help your local community to achieve what is needed for the better education of future generations, then we would be delighted to hear from you. Handing our local schools over to companies that run private schools is the kind of thing that Michael Gove clearly thinks is a great idea. Having pushed ahead with Beccles despite complete local opposition and Saxmundham despite a clear lack of enough children and then awarding Seckford the Ixworth site which is surely almost impossible to fail Seckford are in the right place at the right time. Those of us that believe in locally managed schools run for the benefit of local communities will want to keep a watchful eye on Seckford and its expansion plans.